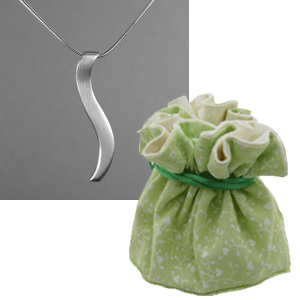 Silver Ogee Necklace in Cotton Gift Pouch: Lovely "Connection Necklace" comes within a specially designed gift pouch, to celebrate a 2nd Anniversary! Cotton is the traditional choice for a 2nd Wedding Anniversary. We've designed this cotton pouch specially for a 2nd anniversary gift. 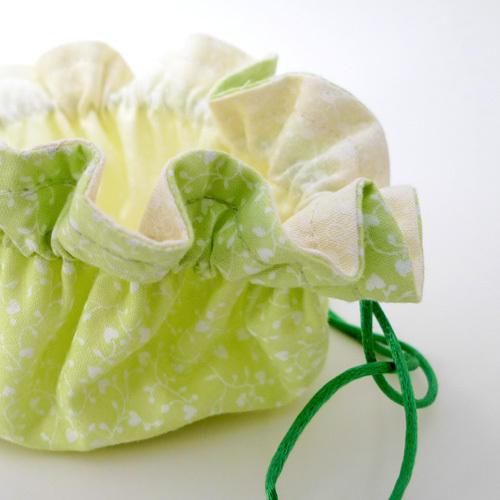 Open this pouch to reveal a lovely and meaningful, silver pendant. A sleek, sterling silver snake chain is included. The pendant was specially designed to allow the chain to slide directly through it. This helps give the 'Ogee' its sinuous, uncluttered design.